Will The Beatles become a 'Rock Band'? They're a Rock Band - yeah, yeah, yeah! 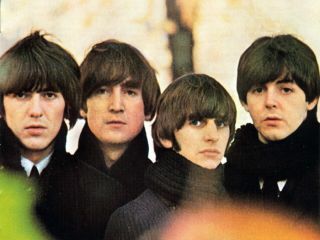 The Beatles are the biggest-selling and most beloved group of all time. But as of tomorrow, they just might become a real Rock Band, as in the video game variety. The Beatles' Apple Corps Ltd. and MTV have scheduled a press teleconference tomorrow (30 October) at 10 am ET to announce "an exclusive agreement to develop a global music project." Although the announcement does not offer details on the agreement, it is common knowledge that representatives for The Beatles have been talking to MTV's "Rock Band" team for months. Should the deal go down, Rock Band will have secured two of the top-selling catalog bands of all time - The Beatles and AC/DC - for versions of the game. It should also be noted that music from both acts remains unavailable on iTunes. Hopefully, The Beatles version of Rock Band will come with instructions on how to solve disagreements along the lines "Hey, I want to be Ringo!" "No, I want to be Ringo!" "I want to be Paul!" "Uh-uh, you were Paul last time!"